Growing up, we frequently sang those words in church. The hymn has always been a favorite of mine. But today, it has new meaning. Never could I have even begun to imagine what that prayer would yield in my life! YOU are an answer to that prayer! With every email I receive, every comment on my blog, every person who reads my words and is blessed, I see that God had plans to use my pain…even before I could even begin to imagine good could come from the pain. I realize that by telling my story, my pain is not in vain. I have the joy of seeing my pain bless and encourage tens of thousands of people that I have never met…that I may never meet until we are together in glory. Not only do I have the blessing of sharing, of seeing my pain used to help others, but telling my story has been such a healing journey for me. When I started this little blog two and a half years ago, I had no idea where it would go, if it would go anywhere. I just knew that I had a story, a story of God’s faithfulness. And so I began to write. I began to tell how God had worked in my life. I began to tell what God was actively doing in my life. I began to tell how he had revealed himself to me. I began to tell how I had come to understand his love in new and precious ways. I began to tell how he had become real to me. I began to tell how I had realized God’s never-ending love, forgiveness, and faithfulness. I began to tell the story of Jesus and his love. With every retelling of my story… With every email I send… With every speaking opportunity I have… With every blog that I write… I have the privilege of rehearsing God’s love and faithfulness to me and it builds my faith even more. I would not have this overwhelming joy without each and every one of you, my readers. I simply want to say thank you for allowing me to be a part of your life, for allowing me to tell my story. I want to say thank you for being a part of my healing, of the building of my faith. And now, God has very clearly revealed the next step to me: It is time to write my first book. As far back as high school, I had a dream of being a writer. I wrote an essay for a scholarship my senior year of high school, and in the essay I wrote about my future…as a writer. In college, I told my advisor that my ultimate goal was to write devotional material. I wasn’t sure how I could make a living, though, so I pursued a public relations/journalism degree instead. But here I am a number of years (I’ll keep that exact number to myself) later, and God is fulfilling my dream…and he’s doing it through the most painful circumstance of my life. I’ll be honest: It is very daunting to write a book, vastly different from writing a short 1000 word blog post. But I know God has called me to it, and I know that he will see me through. It’s an exciting time, too! I have carried a dream for 20 years and had basically allowed that dream to die. But, I am proof that when God plants a dream in your heart, it will never die! Think about Joseph. Joseph languished in a prison and watched his dream die a slow and painful death…until God’s time was right. And then, at just the right time, God elevated Joseph and made his dream become reality. But, here’s where things get tough. You see, as a single mom I have this thing called a job. It’s a necessary evil: necessary because I need to feed and clothe my children and evil because it limits the time I have available to write my book. And, don’t forget those three precious children who are constantly fighting for my attention. I have to say that they are 100% supportive of this writing venture, and they want me to write my book as much as I do! They have been so good about stepping up and helping out to free my time to write. So, this is where I am: I know that I must write my book because that is what God has called me to. But, I must balance all of the priorities in my life. Honestly, I am struggling to keep up with my book, my job, my kids, and my blog. And that is where you, my wonderful and dearly loved readers, come in. Telling my story has been such a therapeutic venture. I know that you all have amazing stories of survival, of healing, because many of you have told me your stories! Would you be willing to tell your story on my blog? Would you be willing to write a blog post of how God has given you strength, pulled you through a painful time in your life? Would you be willing to tell your story of God’s faithfulness, of his provisions for you? I guarantee that if you will tell your story, God will do amazing things in you. You will be blessed as you rehearse his faithfulness. Your faith will grow as you reflect on his mercies toward you. You will see your pain is never in vain when you walk with God. Please don’t think that I am going away! I am about six chapters into my book. I may even share small glimpses occasionally of what I am writing. I may post some of my older Crosswalk articles. I will still write as God pours out an inspiration on me. 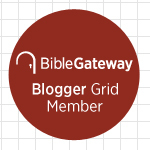 I have no doubt that God will faithfully provide material for my blog. But I would love nothing more than to share your story, to give you the opportunity to experience the joy of telling your story of Jesus and his love toward you. If you would like to share your story, please email me at DenasDevos@yahoo.com with a subject of I love to tell the story. I will be more than happy to edit and format if you are concerned about your writing skills! If I post your entry, I can do it anonymously or I can identify you. It’s your call, your story. In addition to sharing your story, I ask that you keep me in your prayers. I do not want to write this book. Instead, I want God to write this book through me. I choose to surrender every day to my Savior, asking him to live through me. My goal is that my words would point a hurting world back to the One who can heal every wound, every pain. That is something only God can do. Go Dena! I can totally relate to this the writing bug that God places in some of us for His glory! I have told pieces of my story on my blog at tamarachristinewrites.wordpress.com If you find any of it worth reblogging when you are needing material for yours, you are welcome to use anything you find there! I will take a look. Thanks! Can’t believe the way God is allowing everything to unfold. So. Much. Fun. You are truly a blessing! I look forward to reading your blogs always! Thank you so much! What a joy and blessing you all are! Thank you so much! The walls are crumbling, and God is doing amazing things! Yes, I will still update. I have some amazing stories to share already! And, I still have some blogs floating in my mind. I just have to spend more time focused on the book. I promise I’m not going anywhere! Dena, your story serves to remind me of God’s faithfulness to me. I have lived Through walking in my flesh in selfish expectation. I have walked Through drowning my sorrows in a bottle. I have walked Through divorce and its many dilemmas. I have walked Through being estranged from my children and many sleepless nights wrestling with God. I have walked (and still walking) Through my search for significance and my cries of “Why Lord,Why”. I feel as if I am now walking through this last chapter of my life and I Know that it’s end will be better than its beginning. I know that God NEVER wastes an opportunity to show others His grace and mercy to the work Through the lives of His children. I know that my Father wants me to issue a clarion call to other dads who need to know of His faithfulness and His provision in their time of need. Please pray for me that’s as He opens doors for me, I would walk through each one of them waving my banner high, pointing other men to the one and only answer to their battles, Jesus Christ, my only hope of glory! I am kidkrazydad, and I am proud!!! Oh how I love your heart! I love your clarion call! Our children need strong, loving, faithful dads leading the way! I know that if God has carried you through, if he has called, he will be faithful to complete it! I am lifting you before the Father now, asking for wisdom, direction, and courage! I am praying that he will faithfully sustain you..as we know he will! Dena! I am very excited to say I have my new website and my blog up and running! Please feel free to check out my blog and post your comment. I’m not a seasoned writer like you but this is great! Thanks for your inspiration!